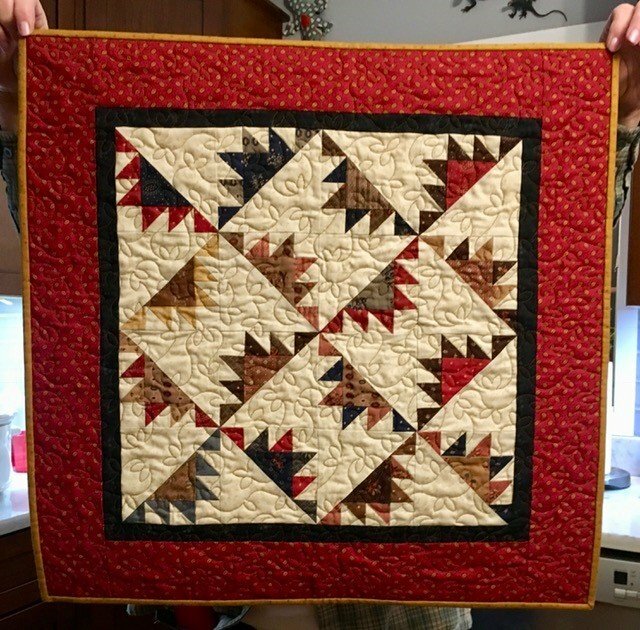 Make this popular traditional miniature quilt using your favorite charm pack, background and border fabric. Use of the half square Bloc-Loc ruler will help pot these blocks together with ease. You may also choose to make the larger rendition offered in the book. Book purchase required.